is a new type of services that provides clients the convenient and effective approach to manage employeees' workforce and payment. How does HR Payroll Outsource work? 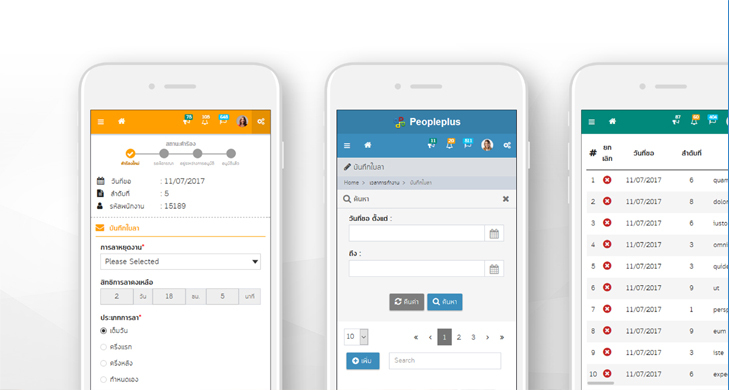 HR Payroll Outsource service by Peopleplus has combined the advantages of payroll outsourcing and shared resource services for HR Software and IT infrastructure (Software as a Service), i.e. a reduction on HR administrative work and IT system maintenance, and the convenience of data and report access through a web-based application. During the service, Customers can conveniently submit data to our HR Payroll Outsource team for verification and recording into Peopleplus HRMS system. After processing, HR Payroll Outsource team will review the results and generate reports for submitting to customers and external parties as requested. In addition to the scheduled reports, customers can conveniently access our web-based application to view history of data and print personalized reports by themselves.